Nine Vermont pizza places have made it into a book called Where to Eat Pizza: The Last Word on the Slice. Authored by Daniel Young, the tome features 1,700 pizzerias from around the world and was published on April 4 by Phaidon Press. Former Seven Days food writer Alice Levitt, one of five writers who contributed to the Vermont listings, describes it as a "big, fat book of truly the best pizza in the world." Seven Days is inclined to agree, since the book includes such local favorites as Pizzeria Verità and American Flatbread Burlington Hearth. In addition to Verità, Levitt's Green Mountain State picks were Pizza Papillo, the pizza truck run by local radio host Charlie Papillo; and Osteria Chiara al Forno, an "underground restaurant" in Norwich. Many great Vermont breweries started as garage operations and grew into something larger. Simple Roots Brewing, which has been making beers in a garage in Burlington's New North End since 2014, is about to make that transition. The two-person, three-barrel operation, run by Dan Ukolowicz and Kara Pawlusiak, will move out of the couple's garage and into 1127 North Avenue, the former Body Le Bronze tanning salon. The new space will give Ukolowicz and Pawlusiak room for a tasting room with a capacity of about 50. On the brewing front, "it opens up a world of possibilities," says Ukolowicz. "Right now, we have to be mindful in what we're making," he explains; Simple Roots only sells in bottles, so each brew needs a label and Universal Product Code. 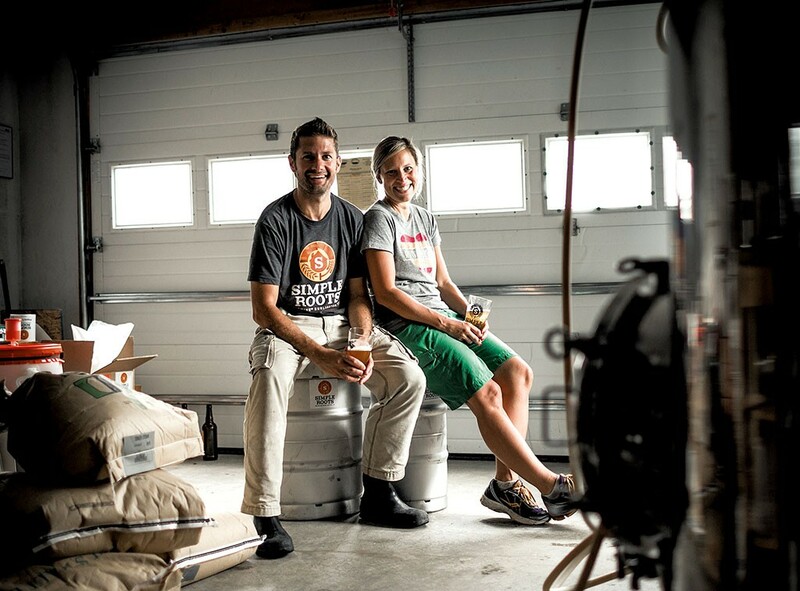 Soon the couple will be able to sell beer and fill growlers in their own taproom. The goal is to work toward becoming a seven-barrel brewhouse with a fermenter. "We're going to make a bunch of different beers," says Ukolowicz, who hopes to open the tasting room early this summer. In the meantime, the pair will continue to brew out of their fully licensed garage. Ukolowicz says he'll feel successful when he can finally park his car there again.